I was inspired by Stephanie’s story. She made me laugh and she made me think. Stephanie Costolo went from having it all—a husband, two kids, a home—to losing everything and starting from scratch in a new state, completely on her own. Her courage and her relationship with God were tested during that turbulent year, but in the end, she emerged stronger than ever. This touching interview with Stephanie Costolo is done in partnership with NowSCPress. It is a part of our Game Changing Legacy series. Her story in What Matters Most of All: The Year I Turned Thirty is moving, inspiring and empowering. What Matters Most of All is a series written for women who are searching for fulfillment and answers in their lives. Share our laughs and our tears, and find a common link with women who may look like they have it all together on the outside, but have worked hard to overcome difficult trials with faith and grace. Stephanie’s incredible journey will inspire and encourage any woman struggling with change and growth. She shares the lessons she learned, and gives other women advice for not just surviving, but flourishing amidst the biggest challenges in life. Stephanie is the Florida Regional Manager, TraffickingFree Zone at U.S. Institute Against Human Trafficking. NOW SC Press was founded by Liza Marie Garcia. They are a book and magazine publishing company and full service promotion firm. They take the best attributes from self and traditional publishing! 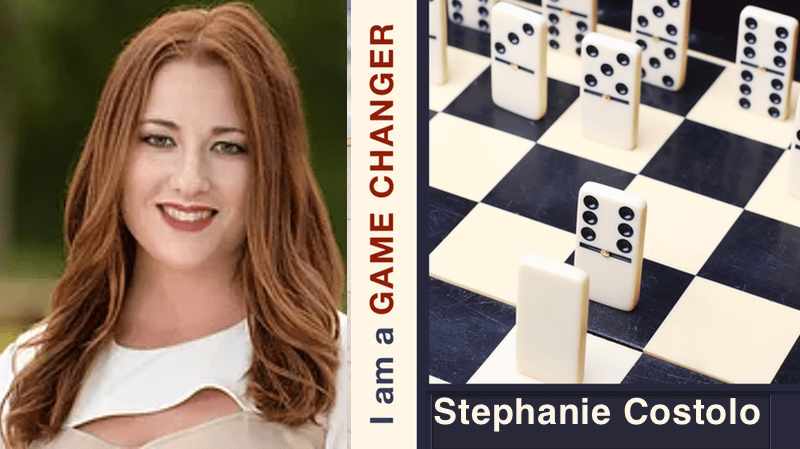 The Game Changer Faith Series is a partnership between NOW SC Press and the Game Changer Network to promote authors that have a faith based message that will help business executives change their game. Click on the image to learn more about publishing with NOW SC Press.